He sent a mental command via the uplink in his brain, feeling the power systems switch from standby to online, letting the reassuring hum of generators fill his ears  or rather, the implants that substituted his ears. A pair of goggles extended from the ceiling of his cocoon, attaching themselves to his face, letting him see the world outside of his home. Inside a hangar, technicians wearing lab coats and safety gear began to back away from his metal form which loomed over them, over twenty feet tall, making final safety checks and disconnecting the pistons that held his body  his outside body  in place. The light on the cocoon's ceiling switched to a bright green. Isaac flexed his metal body, feeling the hands of his suit flex and ball into fists. He walked, slowly descending the dozen or so metal stairs designed for his suit's weight and shape. He stretched, reaching the bottom, tasting the countless pheromones and chemicals in the air, smelling the scent of cold metal and sterile air, hearing the sounds of power generators, the low voices of the technicians, the heartbeats of his own and his artificial heart. He looked around, the red cyclopean head of his suit surveying the familiar surroundings. Director Isaac Dreyfus, Provincial General of the Southern Territories of the Sovereign Human Protectorate, clasped his metal hands behind his back and stood straight. "Johnathon," he said, his cold whisper of a voice amplified to a deep, strong sound by his suit's systems. "Good Morning. I trust all is well?" A gun-metal drone hovered down from the hangar's ceiling and projected a red-tinted hologram in the air before him. The technicians had returned to other business, leaving the form of the Johnathon Hackly, Chief Information Officer, to flicker into life relatively unnoticed. Johnathon took off his officer's cap, holding it behind his back. "Good Morning, sir," came the flat monotone voice, his dull eyes and impassive face betraying no emotion. "I would like to tell you that all is well, but I am afraid that is a lie." He paused, his right augmetic eye flashing. "There has been, for want of a better word, a development." "Development?" Isaac questioned, feeling a tinge of curiosity. "What sort of development?" "A significant development, sir, and one that warrants your direct attention. The other Directors are already on their way to Central as we speak, and are requesting a link-up as a matter of urgency. Admiral Marshall will also be attending, as will the senior Ministers and Deputy Directors. You will be briefed when all are present." "Very well," Isaac said, quelling a rising sense of uneasiness. "Tell them my expected link-up time will be five minutes, no more." Johnathon's figure nodded, replacing his cap before fading away, the hologram drone protracting back into the ceiling. Uncertain, with a hint of excitement, Isaac strode across the hangar to the private link-up chamber, designed specifically for his size, and prepared to uplink with the other Directors. The last time they were all summoned was during the "Re-social riots" over ten years ago, and even that business was dispatched quickly enough. For Johnathon to notify him only minutes after power-up was unheard of. Isaac felt memories re-emerge from his consciousness, memories from almost fourty years ago. Memories of a violent, bloody civil war which had seen democracy and freedom fall to the hard-line, but necessary rule of the Human Protectorate. 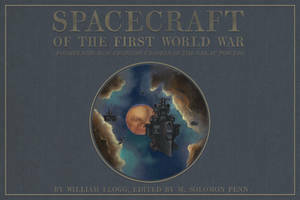 He remembered massive warships in the skies, the threat of nuclear weapons looming over every action and decision. He remembered the pure, unfettered chaos as the war was in its early stages, lootings, daylight murders, fire in the streets. He remembered joining the Human Protectorate militia, rising up the ranks, and being the first to volunteer for the suit-integration trials. He remembered the intoxicating power of the suit, how hard it was to power-down after a day of fighting and bloodshed. He remembered the fall of the United Powers League, witnessing the bombardment of the General Assembly. He remembered the acts of slaughter, the gunning-down of surrendering soldiers, the massive civilian collateral damage. He remembered the death of the Fabricator-General, and his internment in life-support cryogenics. But he also remembered hope. The continent was now a better place after the war, with sustainable economic growth and a slow-down of environmental degradation, coupled with technological breakthroughs, allowing for future generations to help repair the damage that humanity had inflicted on the world. Igne Natura Renovatur Integra was the official motif of the Human Protectorate. With our fire, we shall renew the world. Isaac snapped out of his reverie as a pleasant chime notified him of the uplinks success. The doors behind him closed, and the room darkened. Several holographic drones, identical to the one that Johnathon had used earlier, detracted from the ceiling, projecting hazy-red figures of the dozen or so members of the Senior Leadership of the Human Protectorate. Isaac saw the other Directors, and their respective Deputies. He saw the four Senior Ministers, the members of the Admiralty board, and even James Fell, the infamous leader of the Dissembler Assassins. Johnathon wasn't lying. This was important. The holographic figures were arranged in a circle roughly level with his body  his real body. There was only one thing left to complete the process. Initiating a series of complex mental commands, Isaac felt the cocoon slowly open up, steam and other gases hissing as layers of casing slowly opened up, exposing his delicate, emaciated body to the outside world. Already he could feel his bloodstream being pumped full of hormones and drug-cocktails to keep his body safe from airborne contaminants and organisms. The holographic figure of Johnathon stood up  or at least, simulated standing up, Johnathon had lost his legs decades ago  and spoke. "Directors, Deputy Directors, Ministers, Admirals, and our guest Fell, welcome." Once again, the monotonous voice betrayed nothing of Johnathon's feelings. "We are here to discuss a singular concern and development which, despite previous evidence to the contrary, will no doubt be a startling revelation for you all." Whether Johnathon paused intentionally or not was a moot issue, it still added weight to his next statement. "The security of the Human Protectorate, ladies and gentlemen, is at risk." Unless I decide otherwise, this is the official prologue for my upcoming, yet unnamed story. I think I've stopped procrastinating. Me likey! XD Love your descriptive language and well...EVERYTHING! Wow. The plot thickens already. ;; Blame my love for sci-fi books. I Dream of Her...If this is a dream, then let me not wake. Is she just a reflection on a sleeping lake? Lest she discards her sleeping disguise? I see her now, and she gives me peace. Undoes my shackles, offers me release. Of the maiden lake that I had once seen. Well that shut it up for a moment. Over much research from studying Human Entertainment Media we had discovered stating you came with peas always settled Human uncertainty. The phrase comes from ancient Earthian civilizations that were primitive. Well, more primitive than their current state that is. So the offer of peas served as a uh, promise that they hadn’t come to steal food I suppose. Earthians love peas. As luck would have it, I had managed to find an even more primitive Human though. I had assumed that the creature would be impressed with my rather powerful declaration of possessing peas, but much to my surprise, and I’m sure the surprise of all of Command Center, their entire culture was lost on this one. That was clearly a problem on Earth now days. No one had any respect for ancient Earthian culture. OK Doc - A Doctor Who Western (p.1)The Ninth Doctor gets to play cowboy as he and Rose accidentally end up back at the OK Corral. But something new is brewing in Tombstone, involving an ancient culture, a myth, a legend, and a bunny rabbit. The Doctor stepped out and took a look around the small dusty courtyard. "Oh, so not going to happen," he muttered in disgust. He turned around. "Back inside, Rose," he said, shooing her before him. She sidestepped. "Why? What is it? What's wrong?" She looked around the small cramped yard, tall wooden fencing blocked out any view to speak of, but it was hot, with a dry heat similar to a desert, and it smelled of animals and rotting garbage. She held her nose and looked over at the pile of moldering onions that stood at the back door of the ramshackle, clapboard building they'd apparently materialized behind. "It stinks." "Yes, it does," he said, giving the words an ominous ring that indicated something more dire than onions.